Think of how much easier life would be if you could automate the control of your home’s heating and cooling, plumbing and electrical systems. By integrating home automation into your residence, you’ll be able to have an “interconnected” house that offers a host of convenience, functionality, energy efficiency and safety benefits. Home automation makes use of “smart” technology to gain greater control over the functionality of your home’s systems. It gives you the power to dictate how, when and why specific devices should react. An example of home automation that many homeowners are familiar with is a smart thermostat that you can pre-program to raise or lower the temperature inside your house at different times of the day and night. Water Sensors and Smart Valves: Imagine a scenario where your smart water sensor recognizes an overflowing washing machine, bathtub or toilet and automatically sends a signal to your smart valve to cut off the water supply to the fixture and prevent water damage. You’d receive a text message alert to let you know about the issue. Smart Smoke Detectors: Our smart smoke detectors can be integrated with your HVAC system fan and hallway lighting. When the detector recognizes a fire in the middle of the night and sounds the alarm, it automatically turns off your HVAC system’s fan to prevent the spread of smoke throughout the house. It also turns on your hallway lights to “light your path” to safety as you exit the home. Freeze Sensors and Smart Valves: When coupled with text alerts or smart valve notification, a freeze sensor sends an alert or cuts off the water supply to a particular pipe when it recognizes temperatures below 41°F, preventing potential water damage. Another crucial home automation benefit is remote connectivity. You’ll be able to use your smartphone, tablet or Internet-connected computer to monitor and control your automated systems, even when you’re out of the house. Make adjustments whenever you wish, and keep tabs on its various functions while you’re at work, running errands or away on vacation. As a leading smart home services provider in Carlisle and throughout South Central PA, Tuckey Mechanical Services can equip your home with a state-of-the-art Côr™ home automation system. 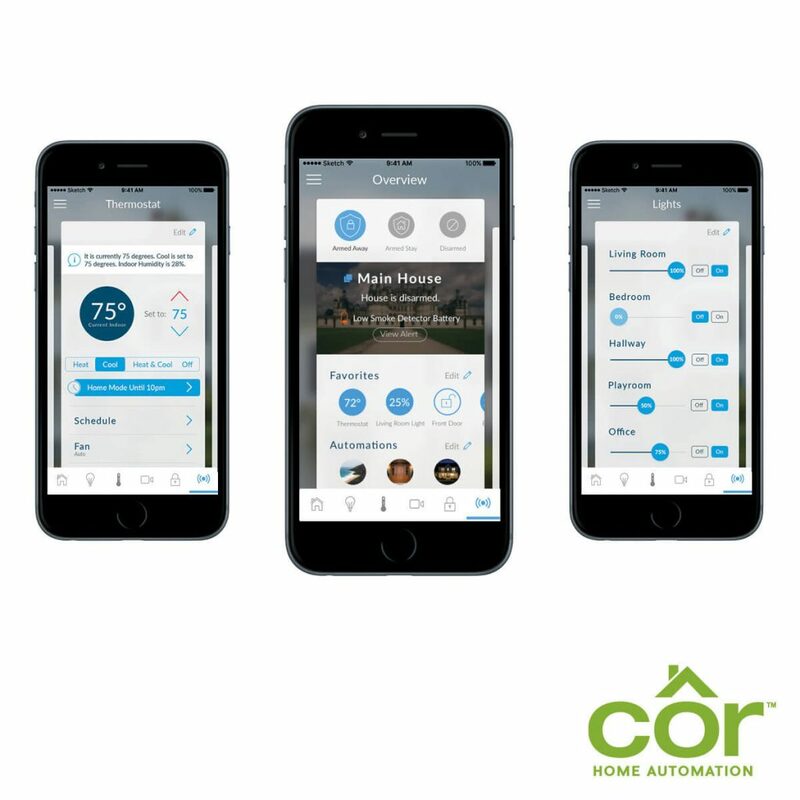 Compatible with most Bryant and Honeywell programmable thermostat models, a Côr™ system will put you in complete control of your home. You’ll have remote access to your lighting, home security, thermostat and more, right at your fingertips — you’ll be able to view and manage these and other vital components via your mobile devices from virtually anywhere. 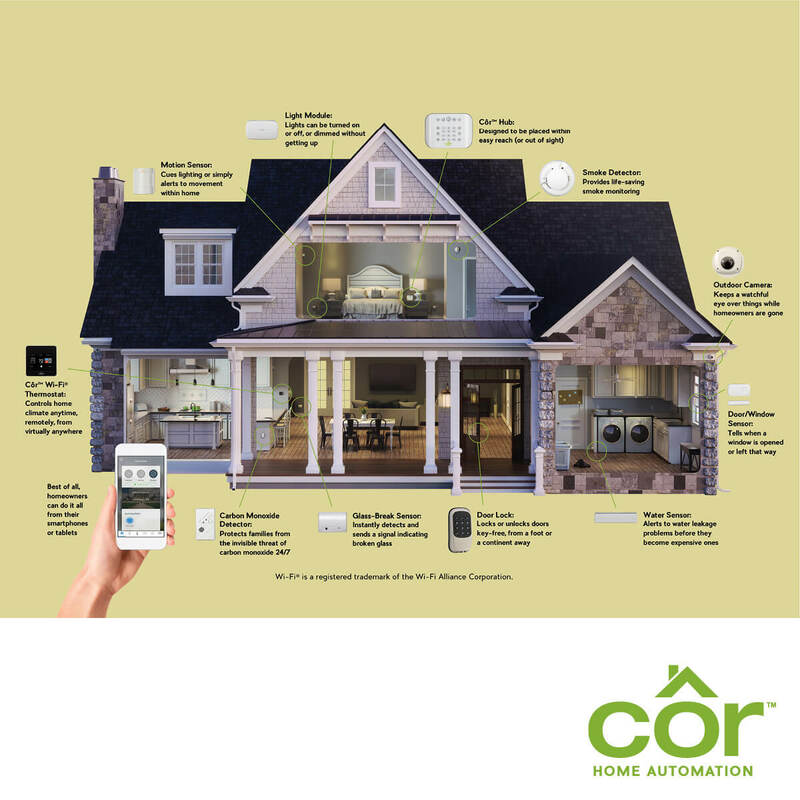 The Côr™ Smart Start Kit makes entering the world of home automation simple and convenient. This comprehensive kit features an intuitive hub, which serves as the “brain” of the system, providing wireless connectivity for all your components. You can place this easy-to-use central controlling unit just about anywhere where there’s Wi-Fi access. You also get a full complement of door/window, motion, and water sensors, as well as a desk stand and light on/off/dimmer module. A variety of add-on equipment is also available to allow you to customize the functionality of the system to suit your needs and preferences. The easy-to-navigate Côr™ mobile app — available as a free download — allows you to manage every aspect of your system even when you’re at work, running errands or traveling. Did you forget the lock the door or turn down the thermostat before leaving home? You can take care of it with a simple keystroke or touch of a screen. You can also set up timers to automate the control of connected components. The app even enables your mobile device to serve as an extra set of “eyes and ears” by monitoring the activities in and around your property while you’re away from it. A Côr™ system offers much more than convenience. By giving you better control over the operation of your home’s HVAC unit, it helps set the stage for significant savings and lower monthly utility bills. A Côr™ unit will also help make your home safer — you can even supplement the system’s self-monitoring capabilities by adding 24/7/365 central monitoring services. The intuitive sensors will provide instant alerts to warn you of the presence of intruders, smoke and carbon monoxide along with other threats. The Côr™ system is “technology agnostic,” meaning you can manage, control and monitor it from any operating system. You never have to worry about getting “stuck” in a specific manufacturer’s ecosystem, which ensures reliable performance. Why Choose Tuckey Mechanical Services? Unlike some security companies that install home automation systems, Tuckey Mechanical Services understands the mechanical, electrical and plumbing parts of the process. You can count on us to provide a total home automation solution that will serve you well for years to come. Contact Tuckey Mechanical Services to learn more about our home automation products and services. "This is the first year we called Tuckey to service our aging home oil furnace. We were prepared for two hours or more on the visit, if the job is done right. Dave was very professional, personable, and patient. He allowed me to watch him work through the cleaning so I could see firsthand the condition of the system, for the filters and nozzles, up through the coils and the chimney. He replaced what needed done, tested the system for efficiency, and left me with an honest appraisal of its condition. The price was what we anticipated (not bad at all for peace of mind). I am confident we are ready for this winter, and also confident who we will be calling for service next year! Thank you for having courteous professionals on staff. 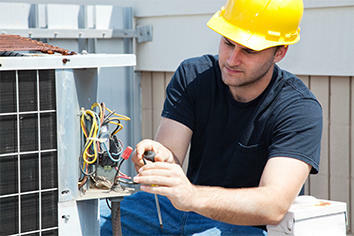 We will highly recommend Tuckey Mechanical based upon today's experience."